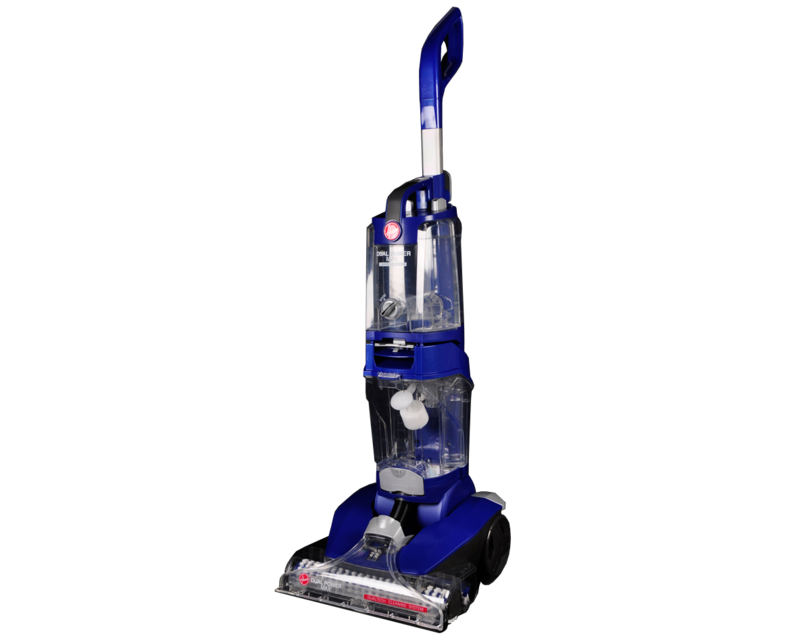 The Hoover Dual Power Max comes equipped with the DualTECH cleaning system, which combines a rotating Powerbrush with Spinscrub cleaning brushes to provide a high-quality carpet clean. 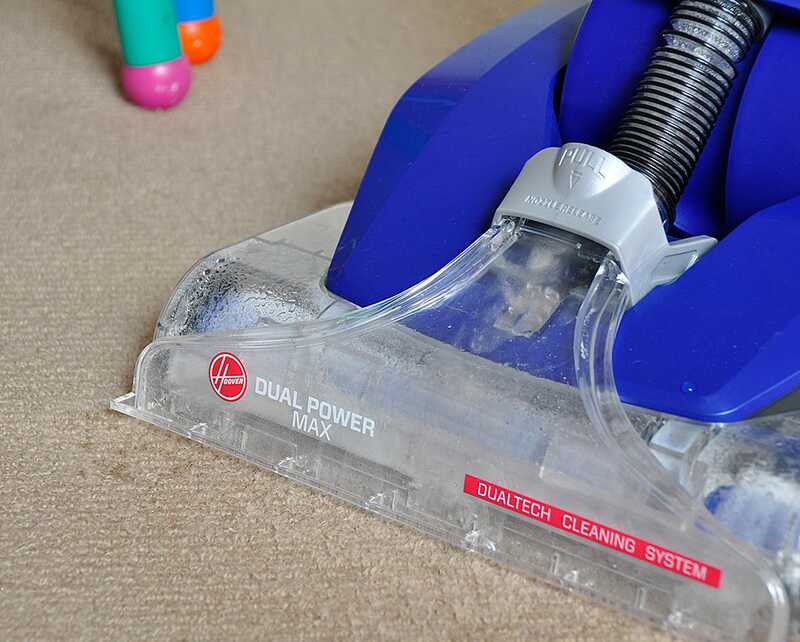 These two elements work in conjunction with each other to carefully clean all of your carpet fibres and provide a professional result in your home. 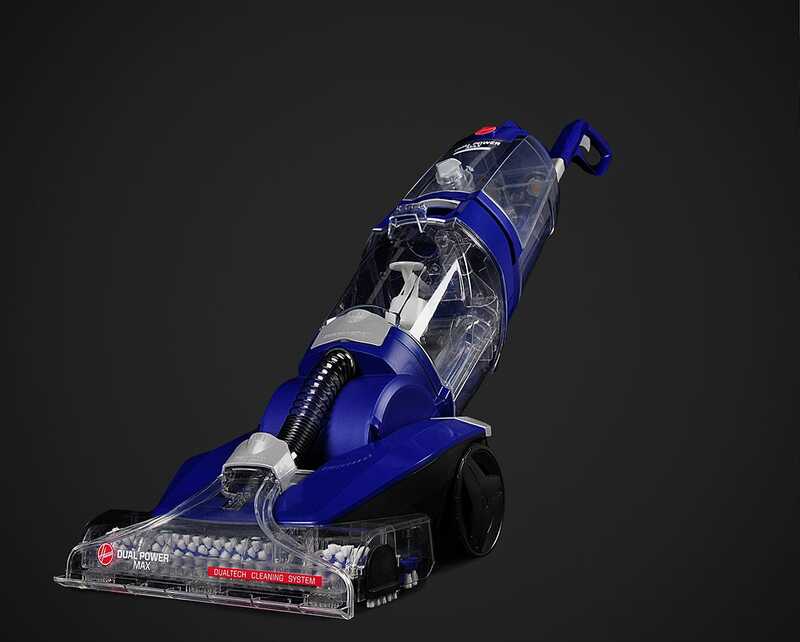 This model of carpet extractor includes an inbuilt water heater, which keeps the clean water at the optimum temperature for cleaning. 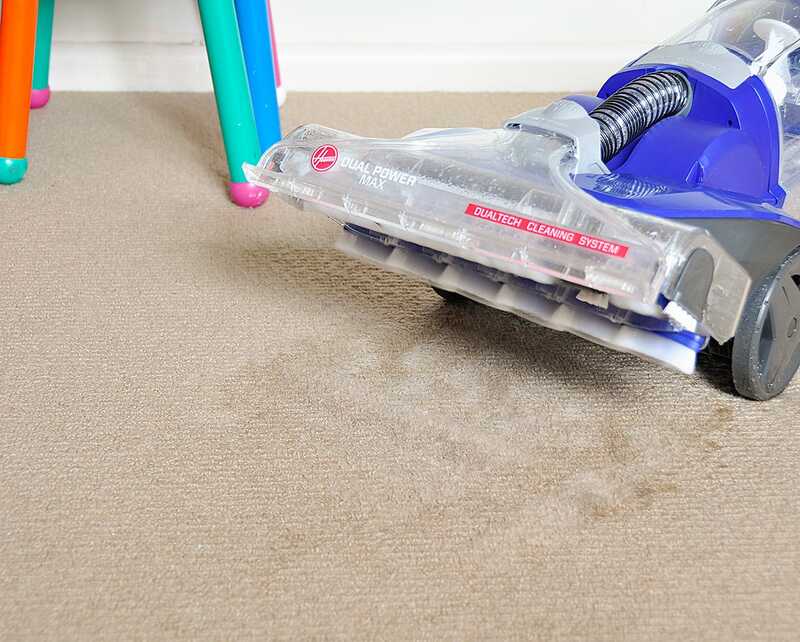 This makes it significantly easier to remove stains from carpets and upholstered surfaces. 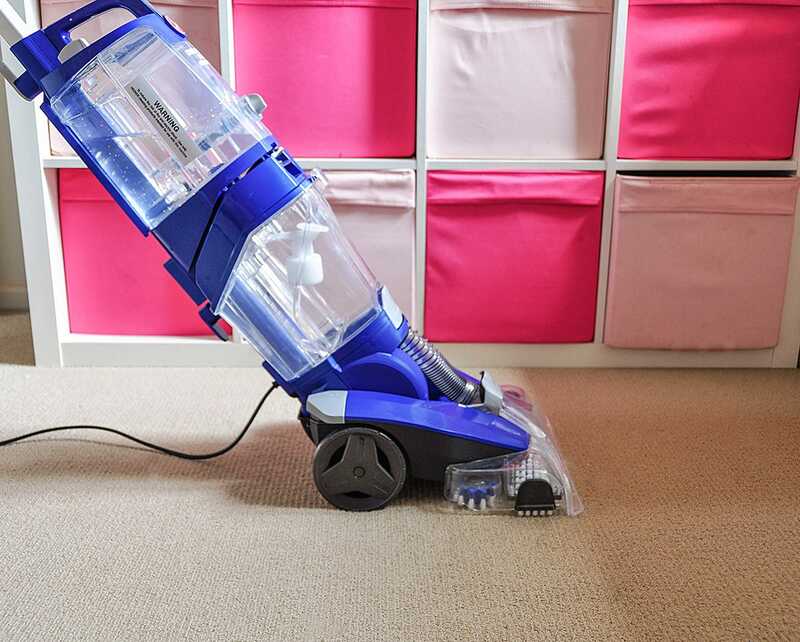 To speed up the drying process, the Dual Power Max has a built-in hot air system that releases hot air onto your carpets as you complete the cleaning process. 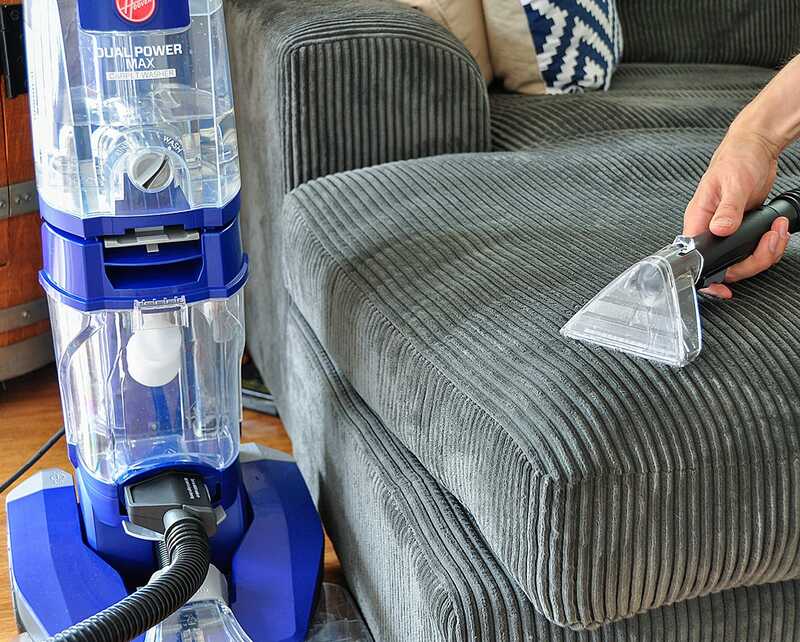 This model features the detachable Upholstery Cleaning tool and hose, which is ideal for cleaning upholstered furniture, stairs, and other upholstered surfaces within your home! 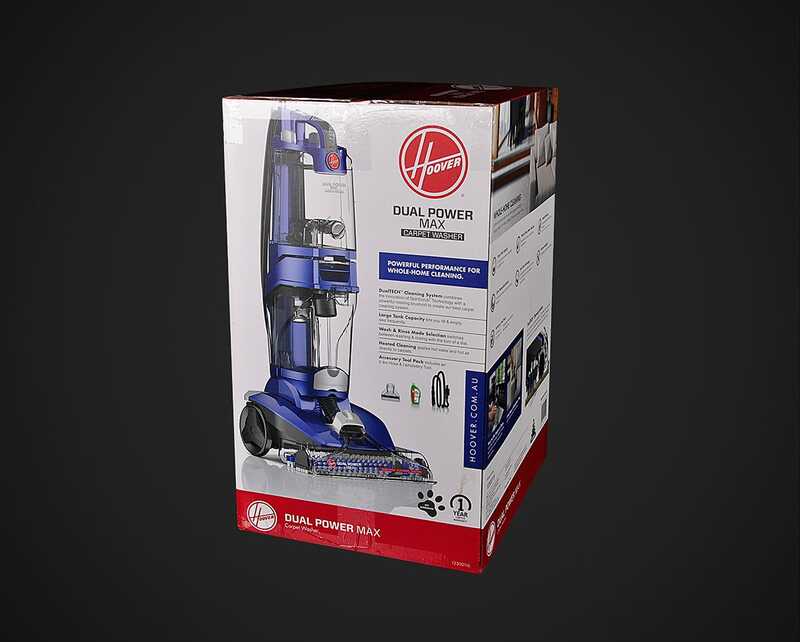 With several innovative features, the Dual Power Max is easy to use in any home. 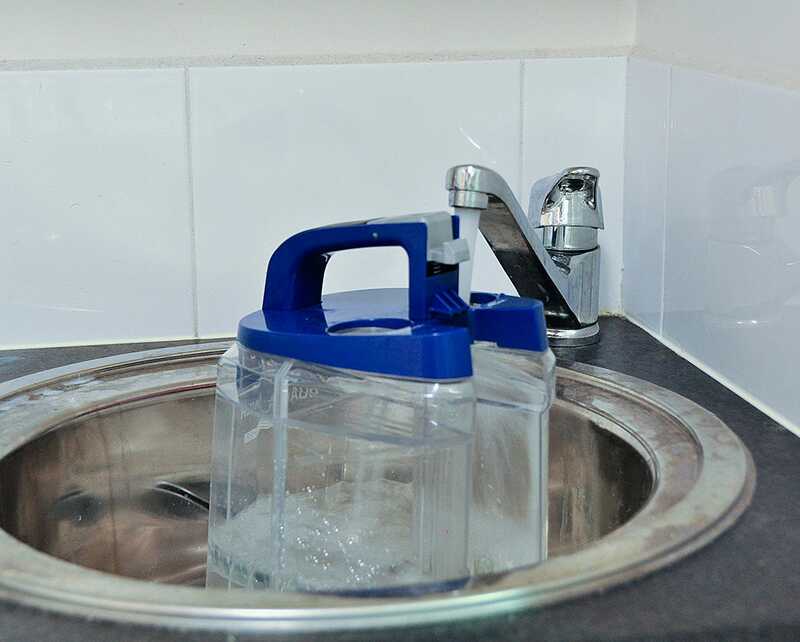 It features a convenient trigger that you can use to release cleaning solution as required, and quick-release tanks that are simple to fill and empty as required. 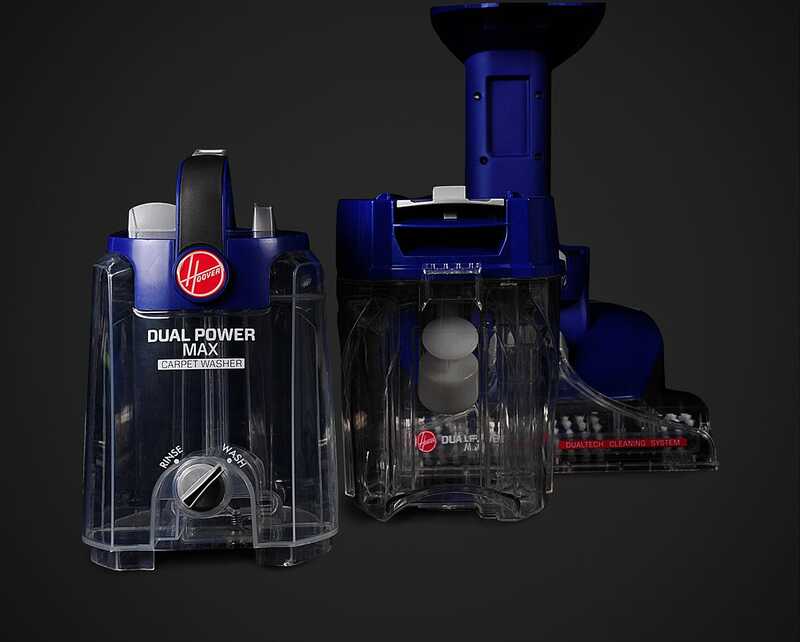 This model of extractor features Dual Tanks, one for clean water and one for dirty water. 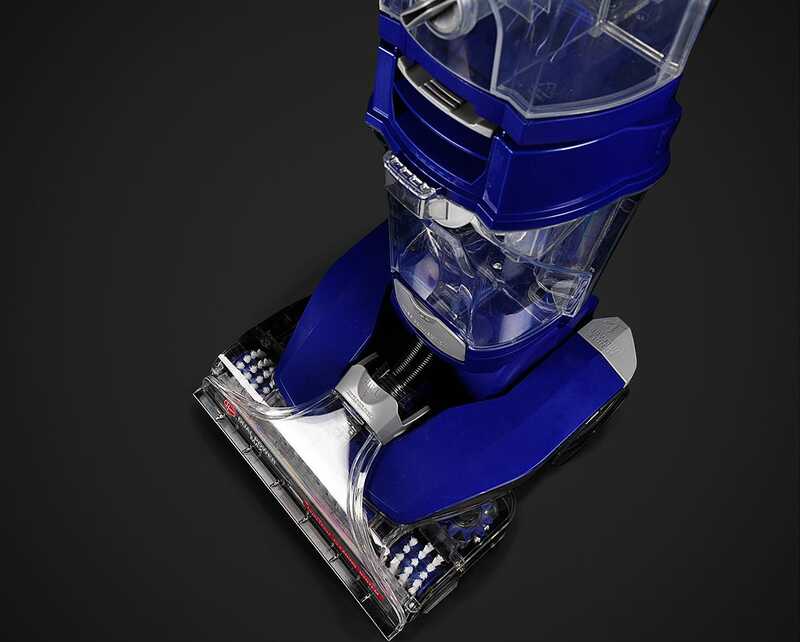 The tanks are easy to fill and empty, and allow you to always be cleaning your floors with perfectly clean water. 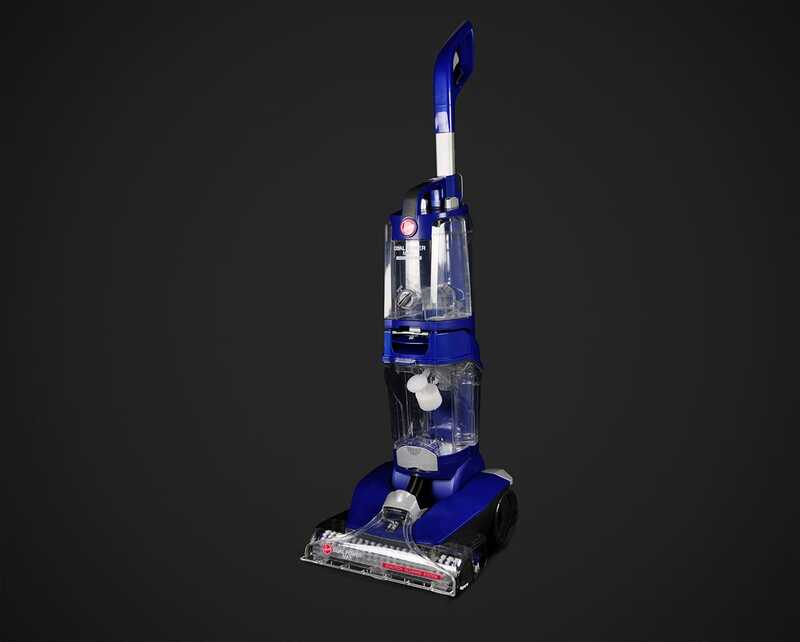 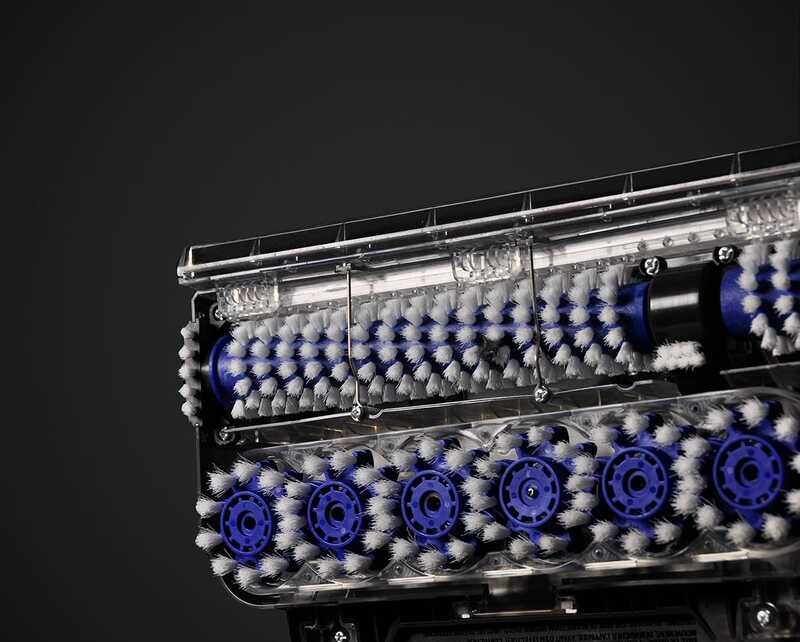 The Hoover Dual Power Max Carpet Shampooer comes with a 1-Year Hoover Warranty.